Last week Princess was admitted to our local public hospital. Happily she is much better now but the whole experience really got me thinking - after all there isn't much else you can do while sitting staring at your sick child. So here are some musings from a sleep deprived, worried Mum. I can't tell you how amazing the staff at the hospital were, especially the nurses on the paediatric ward. Everyone was kind, compassionate, fun when the moment called for it, lovely and supportive to me. From the doctor who has a nursery rhyme app on his phone to take Princess' mind off her injection to the exhausted nurse who made me toast so I wouldn't have to leave my baby. Just generally amazing. The sad thing is that I could also add under paid, under appreciated and overworked to that list. 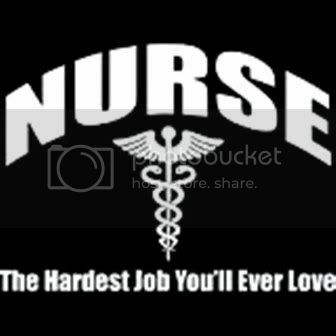 I know the media often say that people like nurses are the unsung heroes while we all worship singers and sports stars and it is so so so true! How can you have the right staffing numbers when you might have 2 patients on the ward in the morning and 25 that night. Amazing! Imagine how terrifying it must have been when your child got a really high temperature in the olden days. You wouldn't have know what was causing it, there was nothing you could give them for the pain and in the back of your mind would have been the knowledge that they might die. Awful. I feel so lucky and incredibly grateful to modern medicine. Princess was amazing the whole time, brave and patient and sweet. I was really brave too (if I do say so myself) but I didn't think so at the time - I took the needles and IVs and ultrasounds and x-rays in my stride ... all until the day we were going home. Two seconds after Princess' last injection I started crying and cried for ages. I was totally surprised but the nurses seemed to be expecting it and, lovely people that they are, gave me a big hug and just kept saying "she's OK now". I guess maybe it is pretty common for Mums to be really brave until it is all over and then they go to pieces. Not that long ago a wrote a post about my total frustration with the public health system. This post is pretty much the opposite. The level of care that my daughter received was unbelievable. There was a doctor less than 10 metres away from us the whole time we were in hospital. There was a nurse whenever I needed one. From the moment we walked into Emergency we were cared for quickly, professionally and incredibly compassionately. At all times I felt like my little girl and her well-being was very important to every member of the staff and I can't imagine what else you could ask for. Have you had to take your kids to the local hospital? What did you think?